Green Horse Games, a Romanian gaming startup, just got a Series A round of institutional funding. Previously, the startup has had an angel investment from a local angel investor, Malin Stefanescu, and he now has 11% of the company. The entity which entered in the Green Horse Games shareholders is Catalyst Romania, a local private equity fund dedicated to Romania which is primarily financed by the European Investment Fund (EIF) via the JEREMIE initiative, BT Asset Management, part of Banca Transilvania group, and private equity company 3TS Capital Partners, which also manages the fund. The fund invests mainly invests in local small and medium enterprises (SMEs) from the tech, media and telecom sectors. Catalyst invests EUR 200,000 to EUR 2 million in private projects. Its other investments so far have been in the avocatnet.ro law portal, in the elefant.ro online shop and in Simartis Telecom, a telecom solutions company. The amount of the investment is not disclosed but Catalyst will be a minority shareholder with 13%, all the money invested going to further development of the company and helping going international. Green Horse Games main game project is Liga Ultras, a project built around a simple idea: to bring football (for Americans, that is soccer) supporters together. It is a place where supporters can meet, win virtual cash by betting, collaborate to help their favorite team, and even be part of it as players or managers. Another project, smaller, is CarsCup, a game which allows a player to prove to the world which car brand has the best drivers (like a football management game for car enthusiasts). “This financing will fuel Green Horse Games’ expansion into new markets, mainly through increased marketing activities and a larger team,” the company’s representatives said in a press release. Green Horse Games is founded by George Lemnaru and Alex Stroe and has under 10 employees so far. George Lemnaru is not at his first gaming startup. He was also the co-founder, in 2007, of eRepublik (by eRepublik Labs), a game which is a virtual version of our real world, one where wars are fought on a daily basis, economies boom and collapse, politicians are elected or fall into public disgrace, empires rise and fall. Every player is a citizen who contributes to his own fate and the fate of his country. This game has now about 5 million players throughout the world. 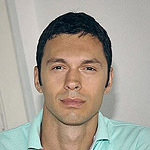 Lemnaru also founded the first Romanian online store for natural products, NaturaPlant.ro, back in 2003. 3TS Capital (with branches in Bucharest, Budapest, Warsaw, Istanbul, Prague and Vienna) other investments are in companies like Avangate, SolveDirect, LogMeIn, Mall.cz.